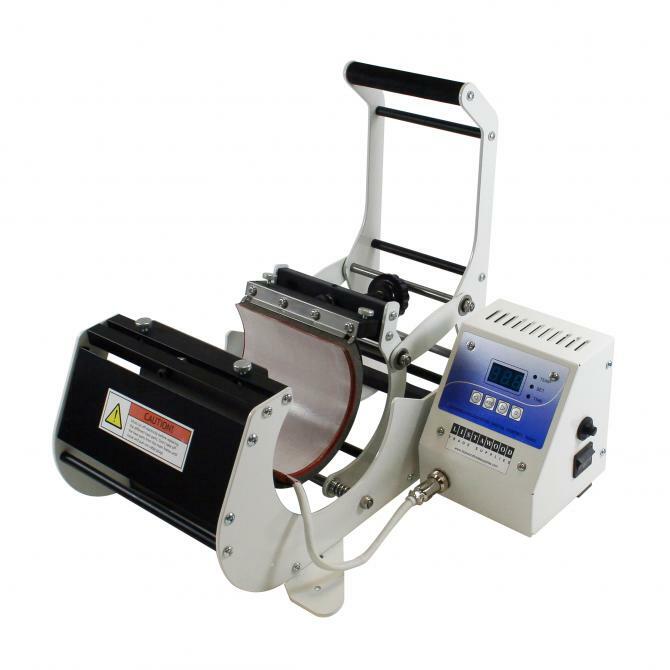 Our Genie III Mug Press features a solid steel framework, pressure adjustment screw & handle and easy change heater bands, making the press even easier to operate. The compact design is fast to warm up and enables you to easily sublimate images onto various sizes of mugs. The press temperature is measured in Celsius and is supplied with a standard Durham 10oz/11oz heater band. Other heater bands are available to decorate slimline 6-8oz mugs, Latte mugs and shot glasses.